Looking for the perfect family sportboat? You’ve found it. 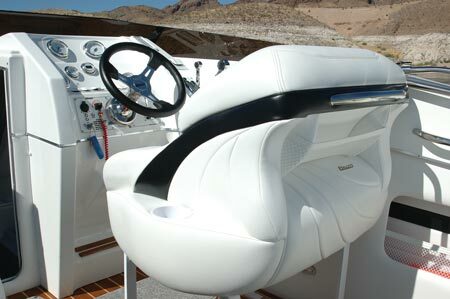 Hallett’s 270-S has the time-tested straight vee bottom design, available in both mid-cabin bowrider and closed deck versions. 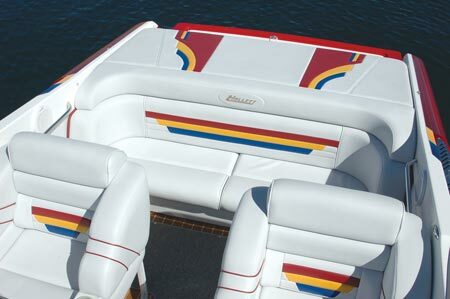 Smoother and easier to drive than ever, the 270-S continues to be one of the most respected and coveted family-friendly performance boats on the market. No wonder it’s the overwhelming favorite for lakes and ocean. This looks like it might be fun! 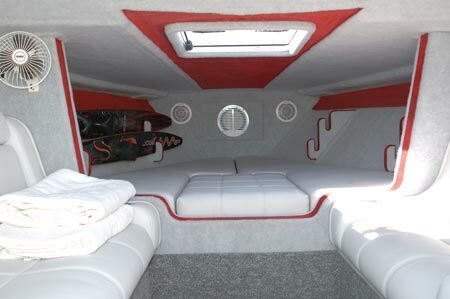 The 270 forward cabin is all about boating – water skiing, wakeboarding and water toys. There a comfy main salon plus a forward v-berth for afternoon naps. You’ve got to like the way this cockpit represents. It says everything about you and your appreciation for the finer things. Seating for six in the main cockpit plus a spacious padded engine hatch aft. It’s the perfect day-boat.